Preparing mail pieces with a full-service Intelligent Mail Barcode not only ensures successful delivery but it also expedites the mailing through the postal process giving our clients better and faster delivery. 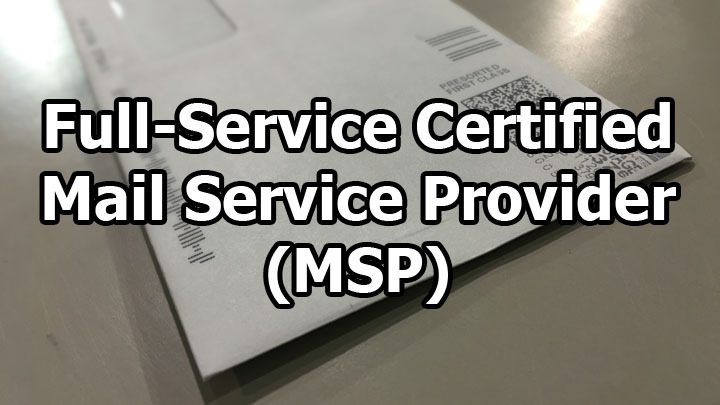 Currently, we are the only Full-Service Certified Mail Service Provider in East Tennessee. To find out more about full-service mail or how Direct Mail Services can help you with your business mail, contact us on our website or email us at dms@dirmailtn.com.